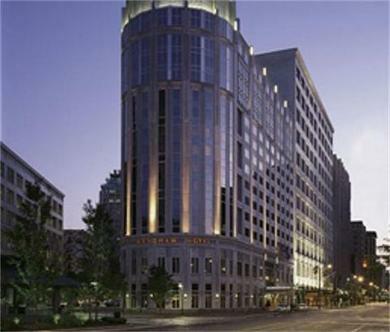 Opened in 1995, The Wyndham Cleveland Hotel at Playhouse Square is the centerpiece of a plan that has returned Cleveland's theater and business district to it's past glory. This 14-story property proudly offers 205 deluxe guest rooms, including 18 corner king suites, 16 suites and a Presidential Suite. Enjoy first class dining at Windsor's, a full-service restaurant open for breakfast, lunch and dinner. Windsor's comfortable yet elegant setting is ideal for pre-or-post theater dining, for business luncheons or for quiet dinners, where diners make selections from Windsor's Cal-Ital menu - lighter Tuscan fare with a California flair. Windsor's daily brunch prvides the perfect compliment to any weekend. There is also a stylishly appointed lounge where guests can relax and socialize.